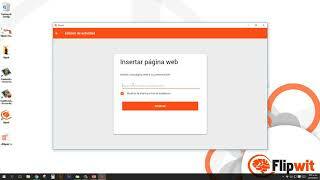 Learn how to use Flipwit and get the most of its features; from its installation and integration with Powerpoint to the use of all its tools to catch the attention of your audience. Our video tutorials will give you details from each of its features giving you the chance to watch them as many times as needed. If you still have doubts please contact us through our chat in working hours, or through our contact form. We will be pleased to give you all the assistance you need. 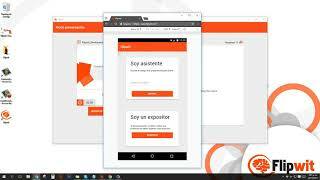 ¿Cómo hacer que la audiencia se conecte a tu presentación usando Flipwit? 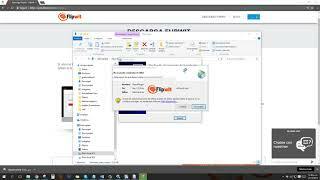 Learn how to install Flipwit in your Windows computer and how to integrate it with Powerpoint. Don't be afraid of the process we will explain everything to you. All the slides that you connect with Flipwit will get store on your account. Get access to them from any device and at anytime without using your PC. ¡No more boring slides! 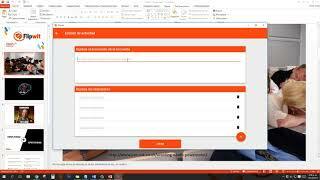 Learn how to create an interactive slides with a question and multiple answers to promote the participation of your audience through real time polls. Learn how to identify the code of your presentation and teach your audience how to use their mobile devices to get connected to your presentation. No downloading needed! 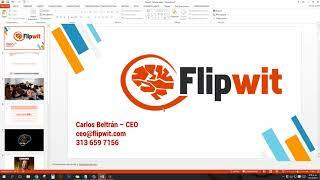 Use Flipwit to add to your slides content from external web pages. It's like having your own web browser inside your slides. Useful to add interactive forms, maps, diagrams, videos, databases, etc.